When Lina and Doon send a message down through the blackness to the people living in the subterranean city of Ember they have no idea what lies in the future for all of them. Because of their message some four-hundred Emberites leave Ember and come to the surface, to a world of sunshine, blue sky, and trees, all of which are things that they have never heard of or seen in their lives. They are a sad group of people who do not know anything about this world that they have discovered, and in desperation that they ask the people in a village called Sparks to help them. The people from Sparks take pity on the tired, hungry, and disorientated Emberites, though they do have reservations. How are they to feed and house all these people? Sparks itself is a simple place and its people have very little to spare. Over time the Emberites start to learn what a tree, a bird and the stars are. They discover what it was that drove their ancestors underground in the first place, and they begin to wish that they had a better quality of life. It does not take long for the people of Sparks and the Emberites to develop a distrust and dislike for one another. Misunderstandings make the situation worse, and Lina and Doon watch in horror as the two groups head for a collision that could break out in violence. How is this awful event to be avoided and how can the Emberites build a new life for themselves in this strange and harsh world? It is fascinating to watch these two groups of people, who are so different on the surface and yet so alike underneath, evolve together. We come to realize as we read that they are both heading in the same direction as their ancestors, people who almost completely destroyed the world by warring against one another. We cannot help hoping that they will be able to break through the circle of distrust that binds them and find a way to work together instead. This tale reveals, in a clear and almost stark light, how easy it is for us to repeat our mistakes and how hard we must work to avoid doing so. The author has created a world where anything is possible and where staying alive is hard. It is in a way a cautionary tale that also carries a message of hope: all it takes is the selfless act of one person to save the situation. This is a thought-provoking book which is timeless, rich in imagery, and hard to put down once it is started. 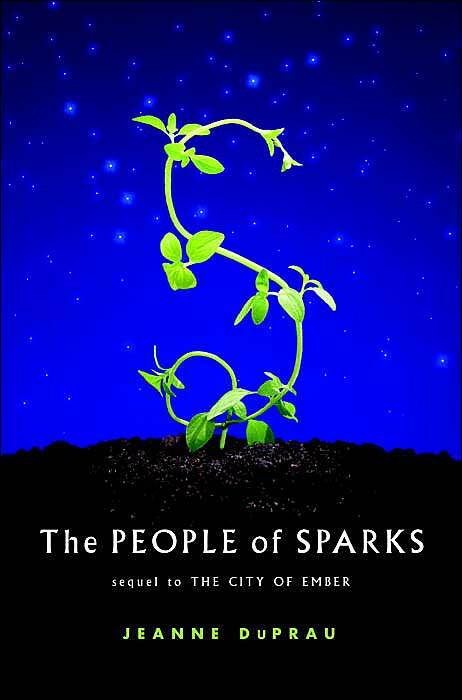 It is the sequel to the book The City of Ember.